The before of Costa Mesa shows a very dramatic difference from what exists in the design now, after the work of APlus. When we first encountered this Orange County home, the kitchen, and main level were very closed off from one another. The ceilings were high, and a skylight let in natural light, but this was blocked off by odd wall placement. 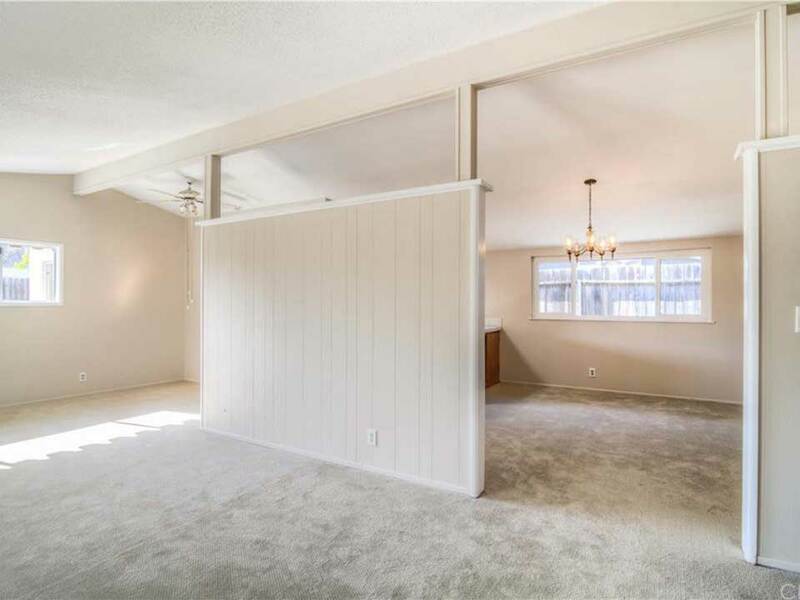 There was an obstructive wall located directly in the middle of the original kitchen that kept this space fully separate from the rest of the living and dining area. 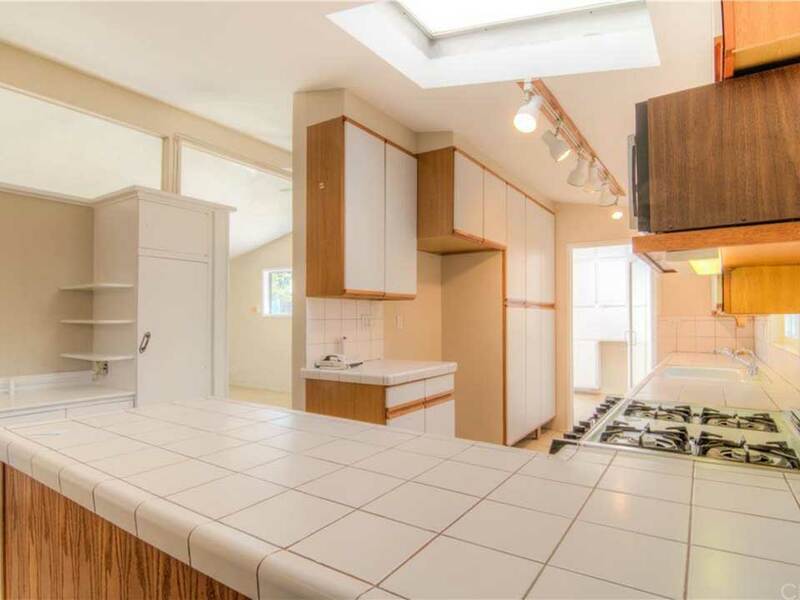 There was also outdated track lighting that felt like it brought the ceiling lower, and the cabinets and tiled countertops were incredibly dated. A peninsula further separated the kitchen from the rest of the primary living and dining areas. The floorplan was just choppy, lacked functionality and wasn’t aesthetically pleasing, despite the availability of space and natural light. 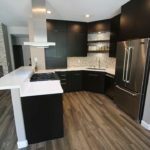 The remodel of this Costa Mesa home focused not just on the finishes, cabinetry and other design elements of the kitchen itself, but also on creating a much better floorplan that expanded the kitchen and opened everything up. 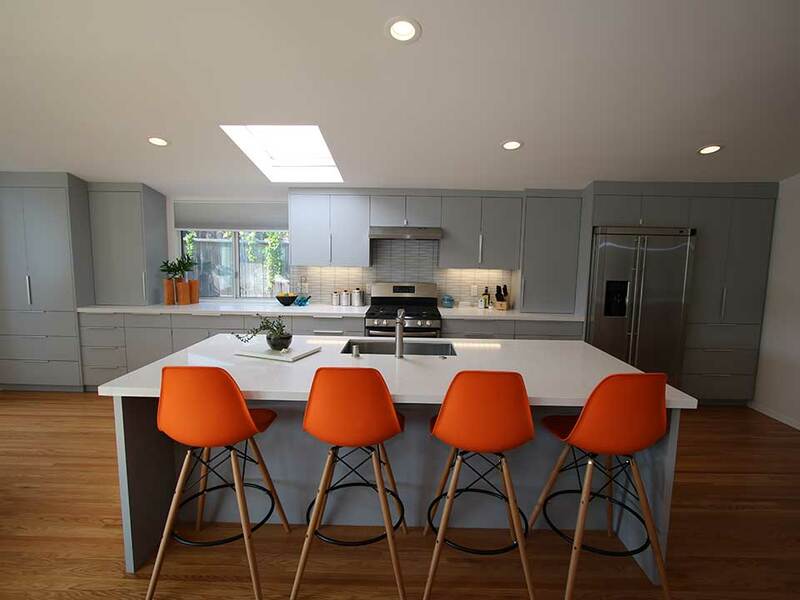 For many homeowners, the ideal kitchen style is one that’s transitional in style, but the owners of this beautiful Costa Mesa home wanted something distinctive and out-of-the-ordinary. They called in APlus to help them create a kitchen that was a unique combination of both modern and mid-century modern. 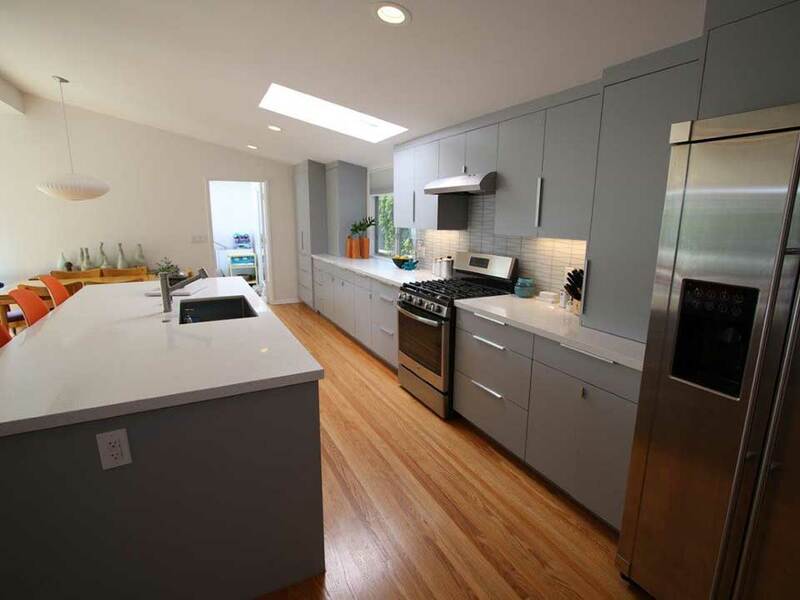 The goal of the redesign of this Costa Mesa kitchen was to maximize the availability of natural, light, create an open space that felt light and airy, and to offer plenty of storage and functional space. The ceilings feature unique angles, which helped to make sure the kitchen felt as open as possible, and also large and bright. One of the most unique elements of the entire project is the cabinets. 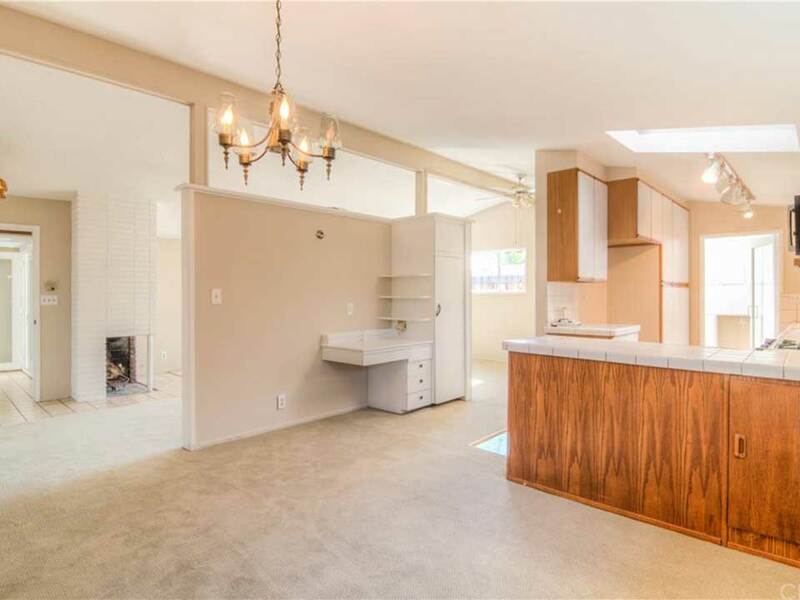 The cabinets selected by these Costa Mesa homeowners are slab-style, meaning the doors are completely smooth, with none of the usual paneling you often see in kitchen cabinets. The result of this cabinet door style is a sense of streamlined modernism. Also unique about these cabinets is the color. 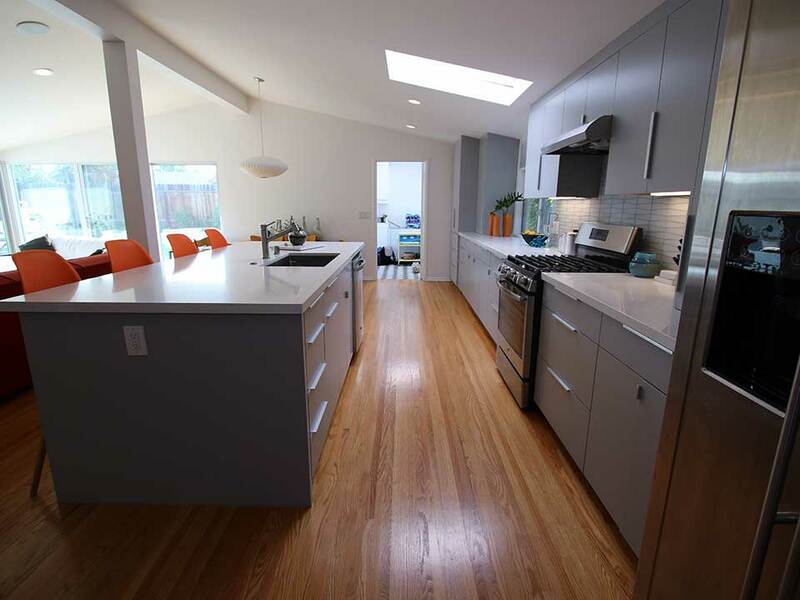 The homeowners selected painted maple slab door cabinets with matching banding, in Platinum. Platinum is a light, smoky blue-grey color that’s versatile, yet adds something different to the kitchen. The custom cabinets in this Costa Mesa kitchen remodel include cabinets that run to the ceiling with no crown molding, and convenient pullouts, organizers, and dividers. 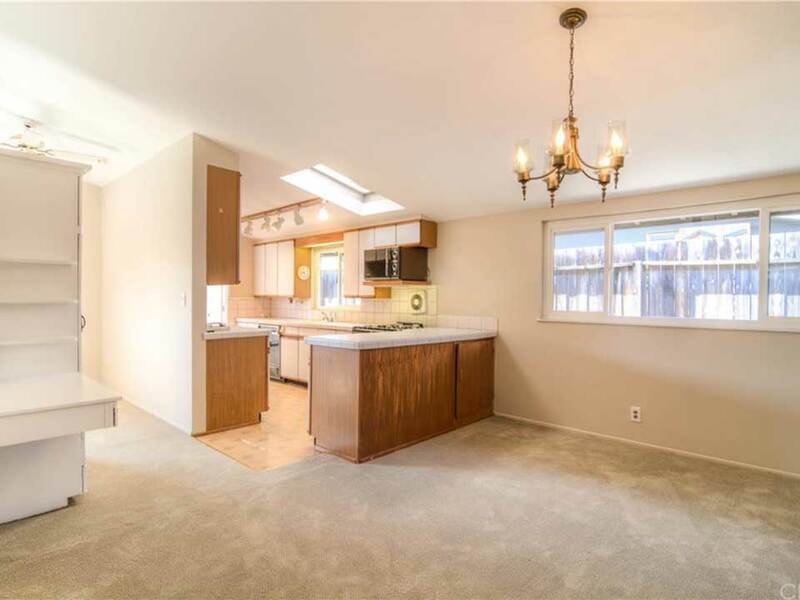 Cabinets run the entire length of the spacious kitchen as well. The countertops are a beautiful Pental Crystal White polish quartz, along both the perimeter and on top of the island. The island countertop is thicker than what’s found on the perimeter counters. The retro-inspired backsplash is accented with under-cabinet lighting. The free-standing kitchen island becomes a focal point of this kitchen. It’s expansive and features seating for four, a large Kraus single below under mount stainless steel sink, and prep space. 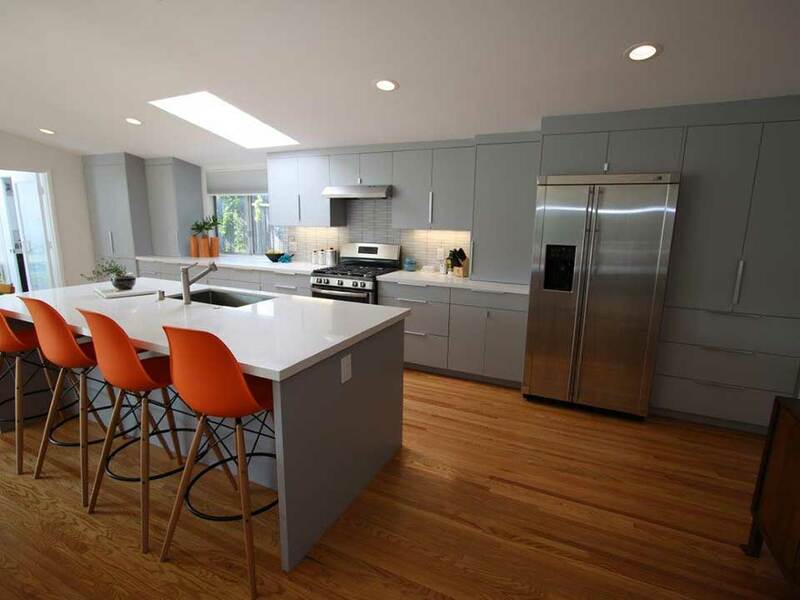 Also part of this Costa Mesa kitchen redesign was the integration of luxury appliances. These include a GE free-standing gas range with edge-to-edge cooktop, a GE Monogram side-by-side stainless steel refrigerator, and a wall-mounted canopy hood over the range.